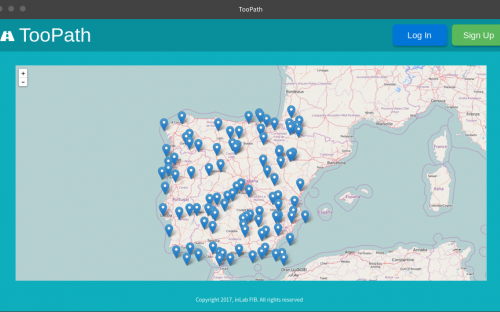 The inLab FIB has developed the TooPath platform, a free software initiative that allows monitoring the location of an unlimited number of mobile devices. 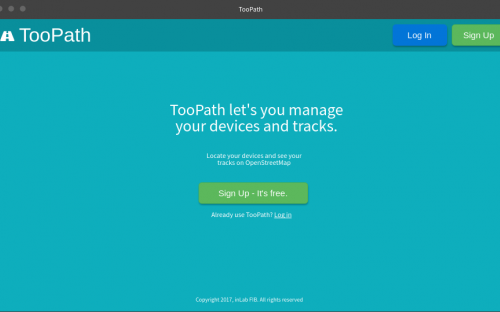 The first version of TooPath was built in January 2007 and has been in development until December 2012. 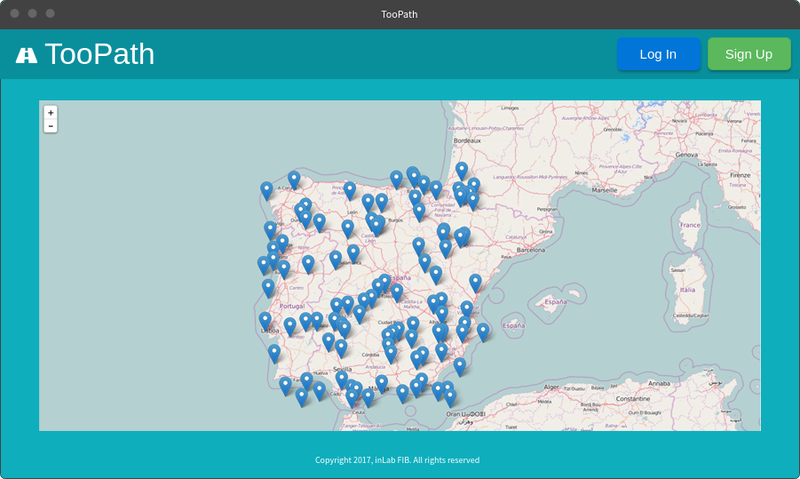 It has been adopted by Aguas de Mataró until 2017, by the company Alstom in the supervision and monitoring of trains and has been integrated within of the Plataforma de Recursos de Geoinformación of the Instituto Cartográfico de Cataluña. It has also been used in Bachillerato Research Projects and in Final Degree Projects. The new version has been developed on current technologies such as Django, Angular, PostgreSQL and is distributed as a Docker image. 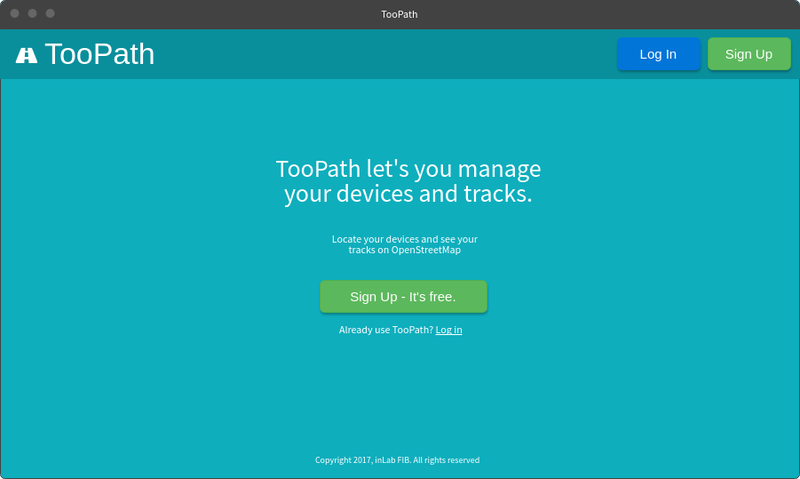 Some of its features are the real-time visualization of devices on OpenStreetMap, the representation of route histories and the generation of reports and download of data in open formats. Real-time display of the position of the device on OpenStreetMap. 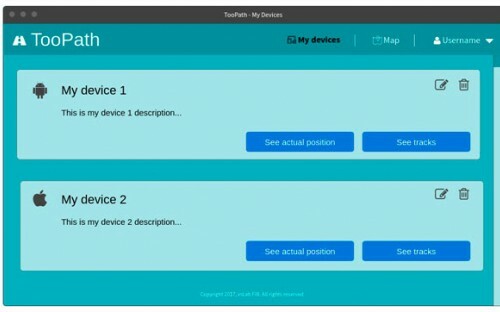 The position update time can be reduced to up to two seconds. Unlimited number of devices. 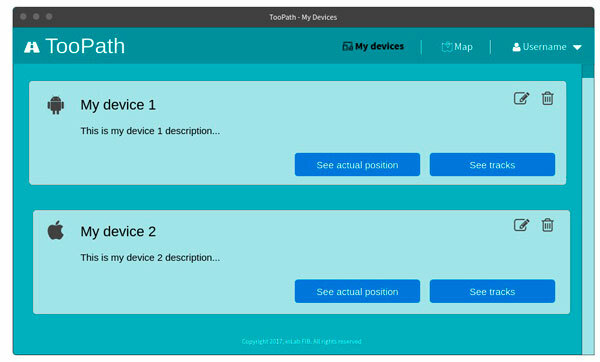 The user may select the devices he or she wishes to view on the map. The map may display the history of routes. Generation of reports and statistics in Web or PDF format. The reports include a graphical representation of the route, statistics of motion and statistics of stops. The generation of reports is done using open standards (GeoRSS, GML, GPX), which allows integration with other external applications. Download of the entire movements database in standard formats.